This is my third year as an ambassador for the MetLife TRICARE Dental Program, and it’s been such a pleasure getting to help educate military families about their benefits. Military moms and dads know it takes a LOT to keep the home front running smoothly. That’s why I love being able to share what I’ve learned, to help you save time and money. Last month I gave you some Children’s Dental Health Tips & Reminders. And back in January, I put together a 2016 Program Update. In a nutshell, MetLife TRICARE Dental provides dental benefits to spouses and children of Active Duty personnel and National Guard and Reserve members and their families. It’s a convenient and cost effective way for families to have continuous dental coverage from the large network of dental providers worldwide. In doing research for my TRICARE posts, I’ve learned a lot more facts and details about the program that I didn’t know. So this month, I’ve rounded up a list of some things you might not know…but should! Families enrolled in MetLife TRICARE Dental Program have access to over 250,000 dental locations, making it one of the largest civilian dental networks around. It’s great to know that wherever you go, you’ll be able to find dentists that participate in the program. There are no annual deductibles or co-payments, and premiums are competitively priced. There are low or no cost-shares on many dental services including diagnostic and preventative. It’s reassuring to know that there won’t be a lot of unexpected expenses when it comes to keeping up with your family’s dental health needs. The program has an Accidental Annual Maximum of $1,200 per beneficiary per plan year. This is in addition to and separate from the $1,300 plan annual maximum per beneficiary per plan year. Hopefully you won’t need it, but it’s always good to know you have the additional injury coverage. 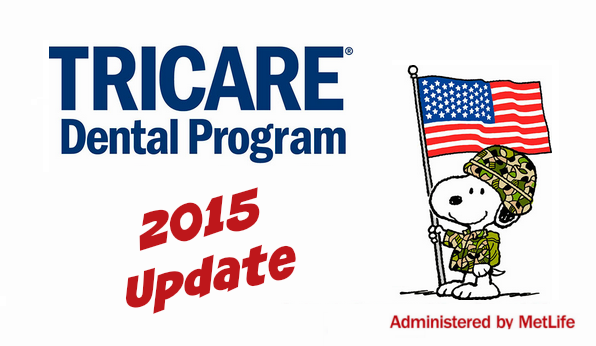 TRICARE Dental Program will coordinate with another supplemental dental insurance carrier. 4. Mail a completed Enrollment Authorization document to: MetLife TRICARE Dental Program, P.O. Box 14185 Lexington, KY 40512. Want to know even more about the program coverage and benefits? The MetLife TDP Facebook Page is a great resource. They post a different fact or trivia question just about every day, so it’s fun to stop by a learn something new each time you visit! You can also find the program on Twitter and at their website: www.metlife.com/tricare. We’ve already told you that February is Pet Dental Health Month, but did you know that it’s also Children’s Dental Health Month, too? We’ve teamed up with the MetLife TRICARE Dental Program to remind all the military moms and dads about the important dental benefits available to dependent children and spouses of Active Duty service members and Reservists. Not a military member but know someone who is? Be sure to share this info so they don’t miss out! One of the included benefit to ask your network dentist about is dental sealants for kids. Sealants on permanent molars for children though the age of 18 are covered under the MetLife TRICARE Dental Program with a 20% cost share. A dental sealant is a plastic material that is applied to the chewing surfaces of the back teeth (molars) to prevent cavities. Both parents and the kiddos will be happy to know that applying sealants does not require drilling or removing tooth structure, making the process short and easy! Research shows that dental sealants help prevent cavities on teeth with pits and grooves, so it’s recommended that dental sealants be placed on the permanent molar teeth of children shortly after the molars erupt. First around age 6, with the second set of permanent molars appearing around age 12. Another concern parents may want to discuss with the dentist is tooth grinding. No one knows exactly why children grind their teeth but stress, improperly aligned teeth, and even dehydration can be factors. Ask your dentist to monitor your child’s teeth if he or she grinds their teeth. No intervention is usually required with preschool-age children, but older children may need temporary crowns or other methods, such as a night guard, to prevent the grinding. I know first hand that military family life can get hectic and that there’s lots to juggle to keep it all together. When it comes to keeping your family finances organized, the New Year is a great opportunity to take a moment and check to see that you are on top of any changes to insurance premiums including health, dental and car insurance. It’s important we stay in the know about our rates so there aren’t any surprises down the road. 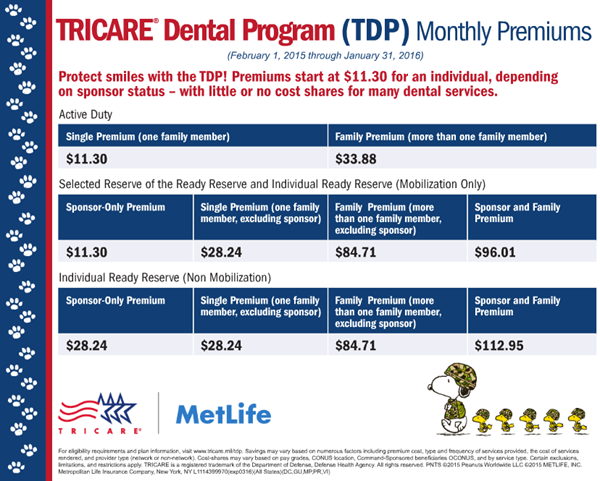 That’s why I’m working with MetLife TRICARE Dental Program to make you aware that there will be changes to the monthly premiums effective February 1, 2016. Premiums vary based on the sponsor’s military status and type of enrollment. One of my New Year’s resolutions is to get and stay more organized this year. Part of that includes managing our household budget, and keeping up with changes to costs of things like our cable bill, cell phone charges and health insurance so we’re not caught off guard by. 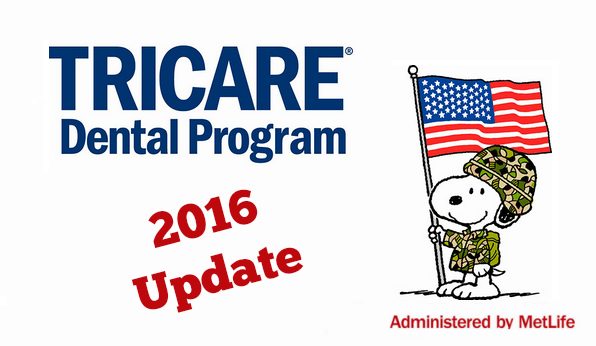 If you are a military family enrolled in the MetLife TRICARE Dental Plan (TDP), it’s important for you to take a few minutes to review and familiarize yourself with changes to 2015 premiums that go into effect on February 1st. Even if this doesn’t affect you directly, please be sure to share this with any military moms and dads you know…military family life can be hectic, and they will appreciate the update. In addition to reviewing costs, it’s also equally important to make sure you are aware of all the benefits of your health and dental plans. The MetLife TRICARE Facebook Page is a great place to start. Several times a week, they post fun facts and info in the form of trivia questions. I learn something new each time I visit. For example, with TDP, family members are covered regardless of a sponsor’s change in status to and from active duty. How great is that!?! Not yet enrolled? Enrolling is a 12-month commitment, but after completing the 12-month minimum enrollment period, you can continue on a month-to-month basis. 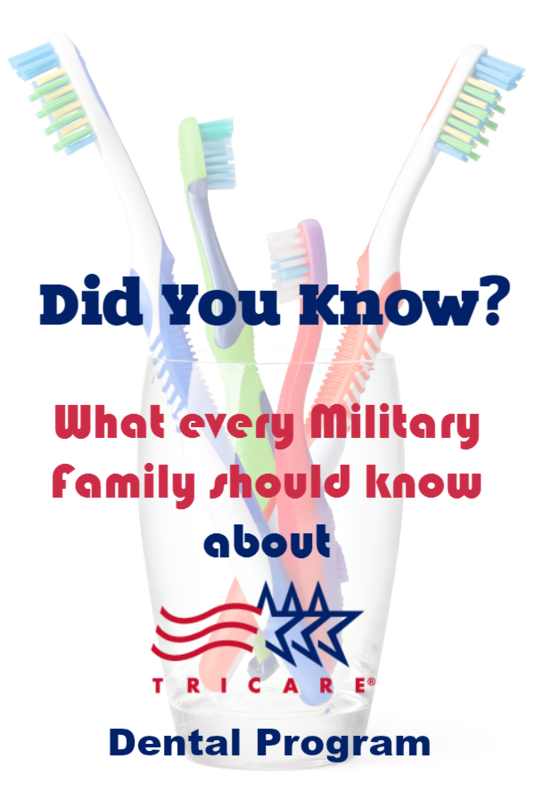 To learn about dental plan benefits for military families, or to enroll, visit the MetLife TRICARE website. It’s hard to believe that before the end of this week, it will be 2015 already…but it’s true! And the end of the year is the perfect time to do a little bit of preparation and planning for a healthy and happy New Year. I like to take advantage of this time to do a little bit of cleaning and organizing: out with the old and in with the new! I got a super CUTE new 2015 calendar and am already filling it with all our appointments and other important plans. That way when we ring in the new year and I make my annual resolution to ‘be more organized’ I’ll already be a step ahead! The end of the year is a great time to review your dental benefits, schedule appointments, and plan your family budget for 2015. 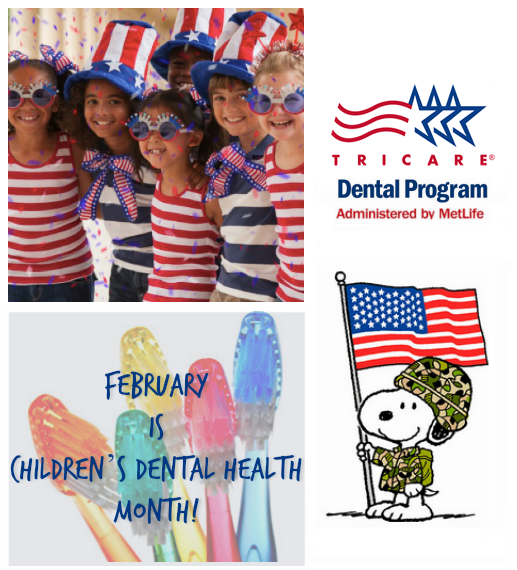 The TRICARE Dental Program is ideal for military families because it is a convenient and cost effective way for families to have continuous dental coverage despite changes in life events, geographical locations, or military status. The MetLife TRICARE Dental Program provides low cost monthly premiums and offers a cost share for a variety of dental procedures. I suggest you bookmark the TRICARE Dental Care Premiums page so you’ll have fast access to costs and coverage whenever you need it. In addition to providing low cost coverage, the MetLife TRICARE Dental Program is also dedicated to educating members about dental health and important dental care practices. Connecting with TRICARE’s Facebook page and signing up for Dental HealthMatters Newsletter are two great ways to stay in the know with TRICARE. You’ll find information about TRICARE Dental benefits, updates and announcements, tips to keep teeth healthy, and more helpful advice throughout the year. 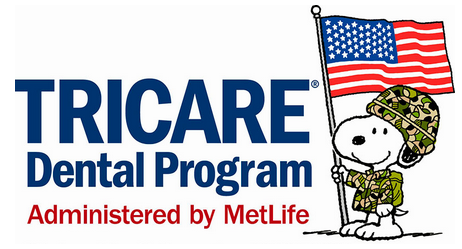 The MetLife TRICARE Dental Program is part of the TRICARE Health Plan for military families. 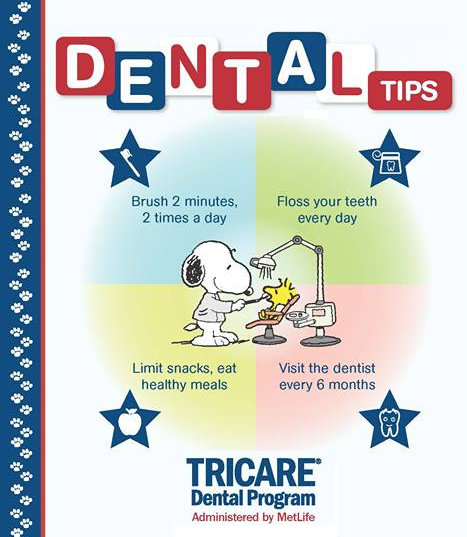 However, you must enroll separately in the TRICARE Dental Program to obtain dental coverage for your family. To learn more and enroll, visit metlife.com/tricare.